Molly A. Manning is a partner in the firm and practices mainly in the areas of employment law, business and commercial litigation, insurance defense, estate litigation and adoption law. She has significant courtroom and trial experience and is able and willing to represent her clients in the courtroom and at trail when necessary. She represents clients in business as well as insurance litigation and disputes. 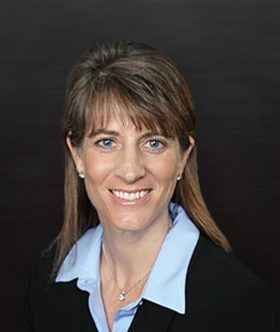 She represents both private and public employers and employees in litigation, employment disputes and other types of employment hearings, proceedings and issues at the state and federal level. Molly is also adept in preventing disputes and regularly advises her clients on hiring and firing decisions within their companies. She has a record of helping employers avoid workplace issues and disputes by assisting them with policy drafting and implementation. She also regularly assists clients in dealing with FMLA, ADA, FLSA, reductions in force and other workplace issues, as well as providing employee and supervisor training on harassment awareness and avoidance, effective evaluations, and investigations. She also assists employers and employees throughout the negotiating and drafting phases of employment contracts, non-compete, change of control, early exit, separation agreements and when necessary the litigation thereof. Molly has a history of finding resolutions to business disputes, non-compete, contract and other disputes. She regularly and has assisted her clients in handling EEOC or TWC charge responses, hearings, negotiation and litigation of matters including discrimination, unemployment and wage hearings, employee/independent contractor misclassification issues, FLSA, wage and hour, Davis-Bacon Act – prevailing wage, overtime wage, employee classification and other similar proceedings and issues. She is also experienced in the area of adoption law and has assisted families with private, agency and CPS adoptions. Molly is also a skilled mediator. Molly was named as a “Texas Rising Star” from 2006-2014, by Supers Lawyers, Thomson Reuters, recognizing her as one of the top lawyers in Texas under the age of 40. Molly received her B.A. in Business Administration and Minor in Agricultural Economics from Colorado State University and obtained her J.D. from Texas Tech School of Law. While in law school, Molly was a member of as well as case note/comment editor for the Texas Tech Law Review and was also a member of the Board of Barristers.